Departure from the HERD as you know it..AND pave your own path! Paving your own path for human beings is so damn hard as we are use to functioning as a group. All of our basic animal survival instincts lead us to believe that following the pack is the best thing to do. Throw into the mix years and years of conditioning from leaders, spiritual teachers and low and behold the education system – it is quite astonishing today that anyone actually thinks for themselves. 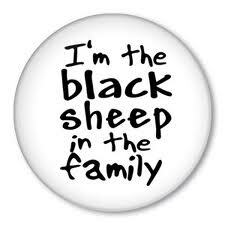 Still; we have successful people, you know the ones that STAND OUT (sometimes referred to as the ‘black sheep’ – where you?) – clearly these people got there alone, without the need to be surrounded by the group. It is here and now why it is imperative to seek out role models; they may be in the form of a coach, mentor or new peers — this will naturally occur as you stretch yourself. There is a philosophy I love, like attracts like, it’s simple though profound if you really think about it. So consider who it is you want to be like? We become like the people we spend our time with. Whether you desire to build a great business, go it alone in any way shape or form – be prepared for your closest friends to not share in your enthusiasm, especially if they are very much engrained in the ‘norm’. Dont be alarmed though as this does not mean you will loose all of your friends – you may loose some, this does then create a space – (called The Law of Displacement ) for new friends to come in, friends more like the ‘new ‘ you. Evolving does mean you see things from a different perspective, it is easier and clearer for you when you are surrounded by peers moving forward in a similar direction, it is great to seek out those further down the path from you, as they tend to keep you going with forward movement, keeping always one step ahead of the herd. This entry was posted on August 22, 2012, 8:30 am and is filed under Purposeful Living. You can follow any responses to this entry through RSS 2.0. You can leave a response, or trackback from your own site.